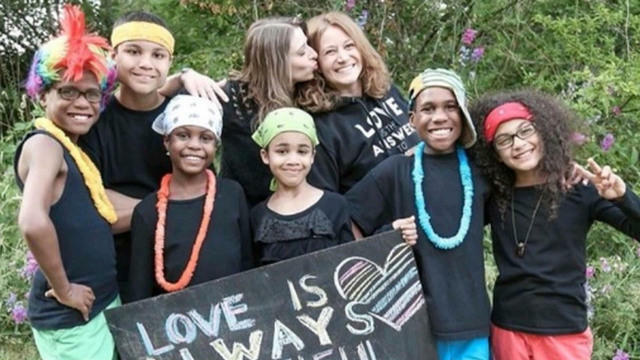 WESTPORT, Calif. -- A body found 10 days ago in the Pacific Ocean has been identified as missing girl Ciera Hart, one of the six siblings authorities believe was riding in an SUV when her adoptive mother allegedly drove the family off a northern California cliff. The Mendocino County Sheriff's Office said Tuesday the body found in the surf near Westport April 7 was identified as Ciera, 12, through DNA analysis due to the condition of the body. The office initially said the girl was 15 and that her name was spelled Sierra. The 100-foot drop killed the women, both 39, and their children Markis Hart, 19; Jeremiah Hart, 14; and Abigail Hart, 14. Their bodies were found March 26 near the small city of Mendocino. Hannah Hart, 16; Devonte Hart, 15, have not been found, though officials have said they believe all six children were in the car. Investigators have said they believe the crash, which came days after Washington state child welfare officials opened an investigation into the family, was intentional. On Friday, authorities said autopsy results showed Jennifer Hart was drunk when she allegedly drove her wife and children off the cliff. Sarah Hart and two of their adopted children had "a significant amount" of an ingredient commonly found in the allergy drug Benadryl, which can make people sleepy, the autopsy found. Toxicology results for a third child killed and for Ciera Hart are still pending.